5 more wake-ups to go! 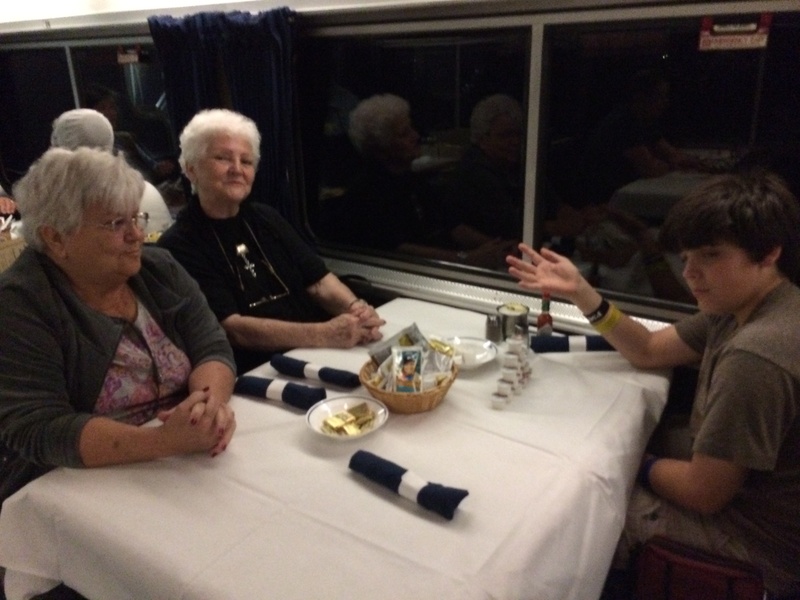 Feb 22nd – Depart from Houston to Los Angeles – We have sleeper cars for this portion of the trip, so our dining car meals are included in the cost of our rooms. So pretty much we will be just sitting, eating, and getting used to the train for the first two days. We have downloaded Amtrak’s Trails & Rails podcasts that will give us some history of a lot of the little towns we will be passing through as we go along. I’ve read that at some points a historian may board the train and give live presentations in the observation car. Feb 24th – Arrive Los Angeles – Our train is scheduled to arrive at 5am, but I’m told it could be earlier or later than that. We have planned to hop on a city bus and ride down to see the Hollywood sign. Depending on how much time we have left – we are planning to have breakfast at Nick’s Cafe. We will then catch the Coast Starlight from Los Angeles to San Francisco at 10am. The rest of this day we will be on the Coast Starlight which travels along the California coast for a good bit of the way. At about 9:45pm we will arrive at San Francisco (Emeryville really) where we will spend the night. 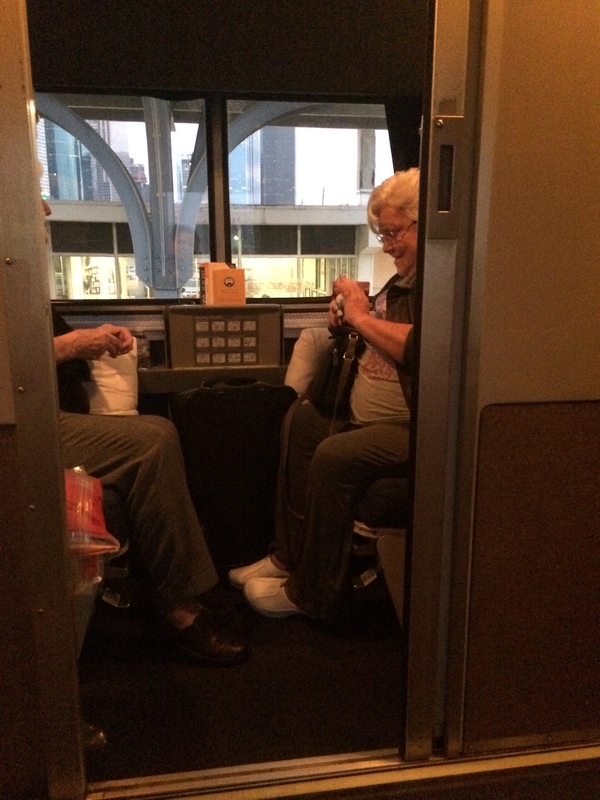 Feb 25th – Depart San Francisco (Emeryville) – We board the California Zephyr at 9am. We spend the rest of this day going through Sacramento, Reno, and Salt Lake City, before sleeping on the train that night. 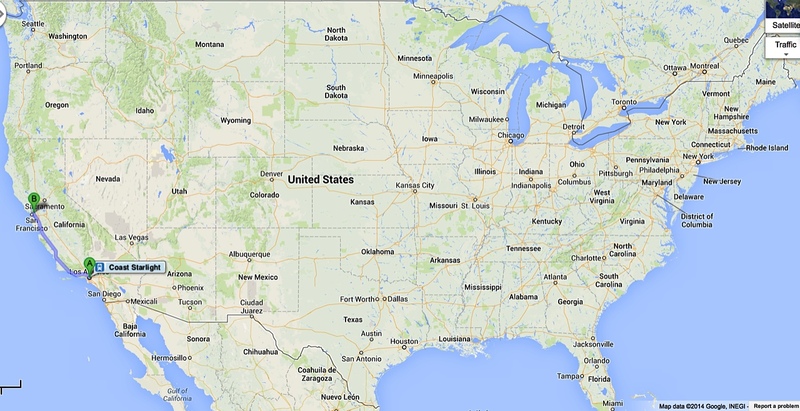 Feb 26th – Arrive Grand Junction, Colorado – We are due to arrive here at 10am. Some of our family lives in Grand Junction, and they have agreed to pick us up at the train station. That night we will be sleeping at their house. In addition to visiting our family, we are planning to go to the grocery store to stock up on snacks, wash our clothes etc. As of today, the weather forecast shows a 60% chance of snow that day. Corbin is super giddy about the potential to actually see real live snow! Feb 27th – Depart Grand Junction, Colorado – Our journey continues this morning at 10:23am. Apparently the Trails & Rail’s program has a really good on-board presentation from Grand Junction, Colorado to Denver, Colorado. 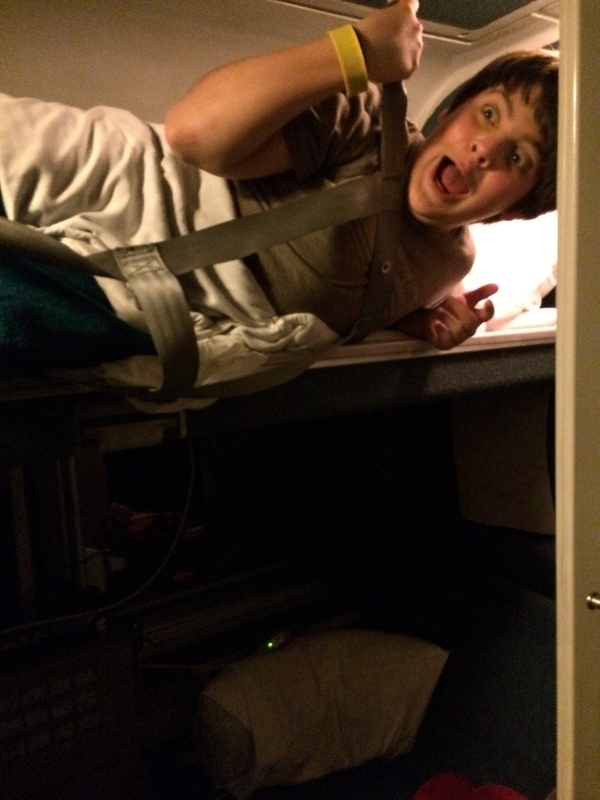 Feb 28th – Arrive Chicago – We will be on the California Zephyr until we arrive in Chicago at 2:50pm the next day, however I’m told that we should expect a lot of delays between Grand Junction and Chicago. I’ve been tracking it every night just to see how it’s looking, and I’m seeing delays of 5 or 6 hours every night! The plan is to spend a few hours seeing Chicago, and then get on another train tonight at 9pm. I guess we will just have to see how far behind our train arrives into Chicago to see how much time we will get to spend there. March 1st – Arrive Boston – Depending on what happens in Chicago, we should arrive in Boston tonight at 9pm. I doubt we will have much time to do anything tonight except find our hotel. March 2nd – Explore Boston – We have so much planned for this day, it would take a whole post just to type it all. I promise to give a full account of what shenanigans we manage to get into there! March 3rd – Crazy Day! – Today we will leave Boston at 6am, arrive in New York City at 10am, walk from Penn Station to Central Park through Times Square, eat some New York pizza, walk back down through Broadway to Penn Station, and board another train at 5pm. At 6pm we arrive in Philadelphia where we will hop off the train to see the Liberty Bell and eat an authentic Philly cheesesteak for dinner, then depart again at 10:45pm. Finally we will arrive to Washington DC at 12:30am, find our hotel and crash. To review, in 1 day we will wake up in Boston, lunch in New York City, dinner in Philadelphia, and then go to bed in Washington DC. It makes me tired just explaining that! March 4th – Explore Washington DC – Today, once we become conscious, we are going to see Washington DC. Well, as much of it as we humanly can. We may have worn Grandma and her sister out yesterday, so Corbin and I might be on our own on this day. I doubt it though. Even at 80 my grandma can run circles around us! Everyone says that you can’t see Washington DC in one day. We will really be here for two days, but I know we will still miss a lot. I don’t feel like we will be disappointed. I’m sure it’s going to be way more than we can even absorb anyway. 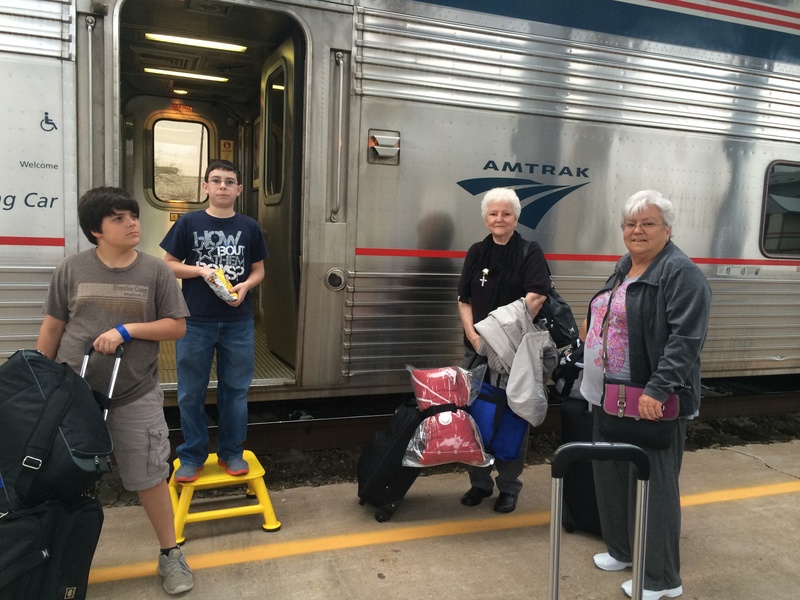 March 5th – Depart Washington DC – We will be boarding the train headed south today at 6:30pm. I’m sure we will be ready to sleep, and I’m sure we will have a nice restful evening on the train after the past few day’s activity. 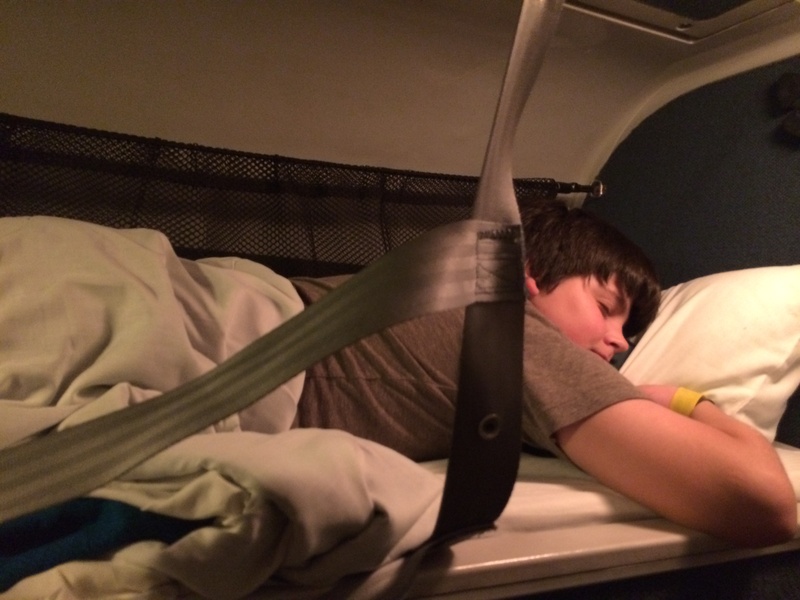 March 6th – Arrive Atlanta – Our train makes it to Atlanta at 8:13am. Once we arrive we are going to spend the day touring downtown Atlanta. Our hotel is just across the street from The World of Coca-Cola and a lot of the other Atlanta attractions so we are planning to rest and tour intermittently throughout the day. Of course we will have to enjoy some Chicken and Waffles while we are there too. March 7th – Arrive New Orleans – We depart Atlanta at 8am and arrive in New Orleans at 7pm, so this will be a good day to catch up on school, work, etc. as we travel. Along with naps. I expect there will be lots of naps… Some of our friends have recommended some good restaurants for once we arrive in New Orleans, so hopefully we are on time and able to have a good dinner once we arrive. This will be the weekend after Mardi Gras so hopefully everyone will be too tired to be partying too hard in the French Quarter. We may chicken out, hopefully we are feeling adventurous by then. March 8th – HOME!!!! – Isn’t it funny that I’m so excited to even be typing this – and we haven’t even set foot on the train yet? I know we will be completely ready to be home though. We are scheduled to arrive at 7:30pm back to Houston. There is still so much to be done! I hate packing. I’ll post later in the week about what we are packing etc. I also still have to plan and prepare all of David’s meals for while I’m gone! Oh AND I still have to finish up the last week of my master gardener training! Yikes!!!! !